Wednesday the office was taken over by 30+ participants to improve and deliver impact on Healthcare with their skills! Ivo Everts teamed up with data scientist Kicky van Leeuwen and professor Pim van der Harst – Scientific Director Cardiac Catheterization Laboratory at University Medical Center Groningen (UMCG). Data Scientists build upon recent advancements in the field of automated segmentation on cases with 2D, 3D, and 4D (spatio-temporal) MRI data. On Thursday and Friday, more cool stuff is happening! 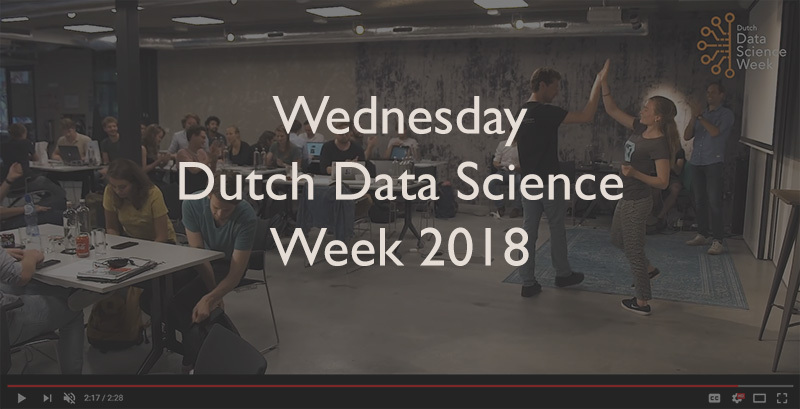 Besides SAS Data Science and Analytics Day and kick-off for the 2-Day Hackathon for the City of Amsterdam to impact society, we organize the Meetup Data Donderdag at Heineken Experience. Check our YouTube channel and stay tuned for more updates of the activities that are taking place in this amazing week!